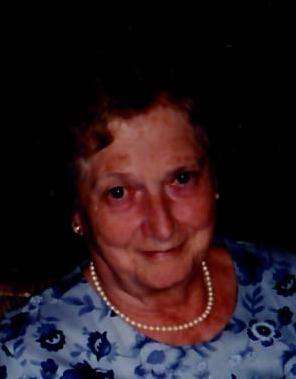 Mrs. Shirley L. Felten, 90, Everett, PA; passed away peacefully on Sunday, April 7, 2019 at Donahoe Manor, Bedford. She was born on December 15, 1928 in Everett, PA; a daughter of the late Harry and Bess (May) Shaffer, Shirley grew up as the eighth of thirteen children. She is survived by three daughters, Carol married to H. Kenneth Hite, Breezewood, PA; Debbie married to Daniel Whitsel, Shirleysburg, PA and Sheila Felten, Manheim; seven grandchildren Shawn Hite, Ginger Grieco, Jeremy Hite, Daniel Whitsel, David Whitsel, Leah Seace and Chad Wilt; eleven great-grandchildren; siblings Frank Shaffer, Virginia Hershberger and numerous nieces and nephews. She was preceded in death by her loving husband, Charles H. Felten Jr.; granddaughter Wendy Foor; siblings Donald Shaffer, Paul Shaffer, Harry Shaffer, Jr., Robert Shaffer, Betty Parisi, Dorothy Brantner, Joan Border, Ann Hanak, Max Shaffer and Barbara Williams. Mrs. Felten was a member of the Zion Lutheran Church, Everett. She was a graduate of the Everett Area High School Class of 1946 and a member of the Bedford Springs Chapter No. 41 Order of the Eastern Star. Mrs. Felten worked at the Surf Room and later in the gift shop at Gateway Travel Plaza in Breezewood until her retirement. The family would like to thank Colonial Courtyard, Donahoe Manor and Hospice for their gracious and caring support. Friends and Family may call at the Akers Funeral Home, Inc., 299 Raystown Road, Everett on Wednesday, April 10, 2019 from 10:00 A.M. until the hour of service at the funeral home. Funeral Service will be held on Wednesday, April 10, 2019 at 11:00 A.M. in the Chapel at Akers Funeral Home with Pastor Kathy Popp officiating.